Ideal-Air - Commercial Grade Humidifier: Humidifier Review • The Air Geeks, reviews of air conditioners, dehumidifiers and air purifiers. Indoor air conditions tend to fluctuate many times during the day. Sometimes it’s too hot and humid, sometimes it’s too cold and dry. During the winter, the air tends to be drier and this carries risks with it. Most seasonal sicknesses are usually as a result of this dry air. Ideal air commercial grade humidifier takes the harsh dry air and produces air with the recommended levels of humidity to create a relaxed and comfortable feeling. Humidifiers can also be used to provide the correct conditions for the growth of mushrooms and other crops that require a high level of humidity. 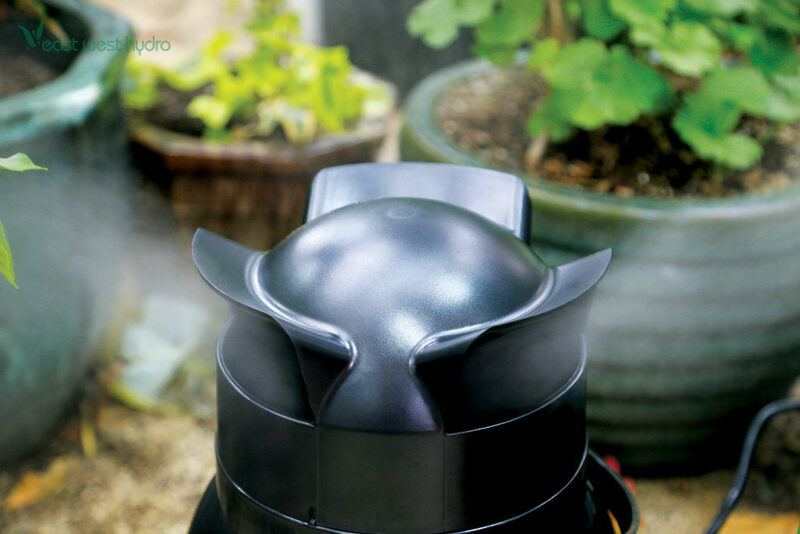 Let’s look at some of the features that set this humidifier apart. 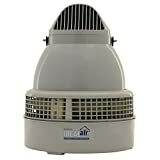 Ideal-air commercial grade humidifier is an appliance that is meant to be used and relied upon for years of usage. It is fitted with industrial grade motors that are able to withstand prolonged working time without overheating. If you are looking for a machine that you can set on and come back to check it after a few days and still find it working as expected, then this machine is worth to consider. You can even connect it directly to the water supply if you don’t want to have to refill it every now and then. With a hook up of ¼ inch tubing, the humidifier connects seamlessly to water sources to ensure the device is never empty. For those who do farming like mushroom growing, this humidifier can ensure your set humidity level is kept constant and does not fluctuate. The nozzle is fitted with a multi-directional fogging cap that ensures 360 degrees of coverage so you don’t have to keep moving the device to ensure all directions are covered. Due to its huge noise of almost at 62dB, this is not the ideal humidifier for your bedroom. It would be better to place it in a separate room. This is because sounds at this level are too loud for most people to either sleep or even concentrate on anything. It’s a bit heavy to move around with. The appliance weighs almost 15 pounds when empty, which increases significantly when you add water in the tank. You, therefore, have to be cautious as heavy appliances tend to be very susceptible to drops which can affect their performance. The design is not pretty, but it is compact and sturdy enough to be used in virtually anywhere be it in a grow room or similar industrial type operation. It covers areas of up to 320 sq ft, with a maximum output of 75 pints per day. However, it does not have a hygrostat which means you will have to buy a separate controller if you need to constantly monitor the humidity of the space. The company recommends you to use the Titan Controls Eos 1 controller allow precise humidity control of between 20% to 90% range. It also doesn’t have water level indicators but auto-shuts off in case water levels are too low. If you like having a control panel whereby you can set a timer for your appliance, the Ideal-air commercial grade humidifier lacks those features. The humidifier features a large opening which makes it easy both to refill and to clean the appliance. It is very easy to disassemble the parts for easy cleaning and maintenance. The combined cost of the humidifier and a controller can be quite prohibitive for some people as it averages at almost $400. Reliable and long lasting: This humidifier is able to maintain constant level of humidity for long periods of time. External hook up: This eliminates the stress of having to refill the humidifier multiple times a day. No control panel: You will have to buy an additional controller which adds costs to the already expensive appliance. I see some negative reviews on this humidifier. Thing is that it is a commercial humidifier and it does produce a lot of humidity. I run two in each of my grow rooms at my mushroom farm and these guys keep things up to 99% humidity (which is good for mushrooms). I have them plumbed with so there is hardly any upkeep with the occasional clean up. (Plumbing it was easy and hooked 4 up for about $50 to one hose) I recommend this product if you need a space very moist, I couldn't imagine having one in my home though." Excellent low maintenance humidifier gets a humidistat with it as that's the only thing lacking unless you're looking for 100% humidity. Drops temp dramatically and make my home comfortable." Ideal-air commercial grade humidifier is the ideal humidifier for those looking for a long lasting and reliable appliance that can be relied upon onto produce the correct level of humidity for sensitive operations like mushroom growing and other similar operations. However, it produces a lot of humidity and also might not be the right humidifier for your bedroom due to its loud noise which most people might find distracting.